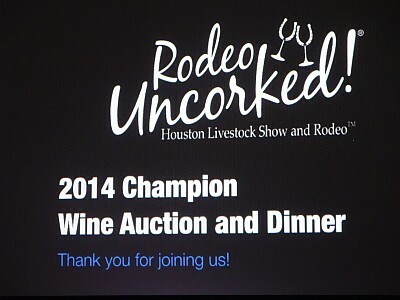 The 2014 Houston Livestock Show and Rodeo Uncorked! 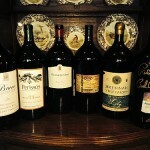 Champion Wine Auction was held Sunday night, March 2nd. 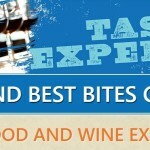 Everyone had a great time with award-winning wines, great food, and high bids for large format wine bottles. 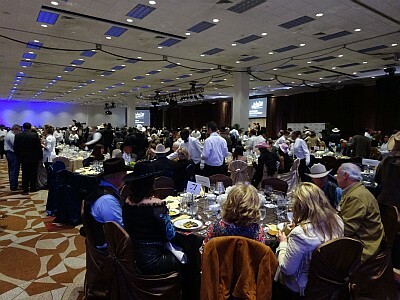 Gloria and I did not get a chance to go the Rodeo’s Best Bites Competition so when we were asked by friends Bill and Gail Day, Texas winegrowers of Buena Suerte Vineyards, if we wanted to join them at their ten person table for the wine auction dinner, we eagerly accepted. This was not a media pass like we have enjoyed at previous Best Bites competitions, but since it was for a good cause, had not been to the wine auction before, and were going to be with good friends, we went in on the table. The evening came and it was even better when Bill and Gail picked all ten people up in a limo for the ride to the Reliant Center. Upon arrival we enjoyed wine and hor d’oeuvres while browsing the multitude of silent auction items. I wish I was a huge Houston Texans fan because there were items available that would make any Texans’ fan proud. Of course there were many other items available such as a vacation house Hawaii, wine related items, western clothing, and much more. 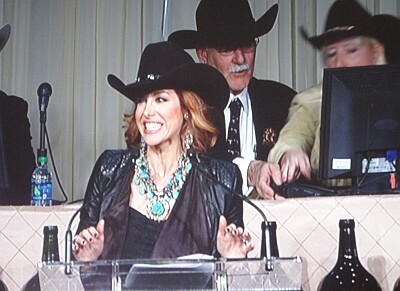 I considered bidding on the “You Be the Wine Judge” item so I could be a judge at the next Rodeo Uncorked! International Wine Competition. We were pleasantly surprised when we saw a poster outside the dining area with a photo of Ryan Levy from NICE Winery. We weren’t exactly sure what the photo was for until later on at the dinner. It was time for dinner and we found our table among the 1,000 guests. KPRC Channel 2’s news anchor Dominique Sachse was the emcee for the evening and announced some things before the dinner started while people were making their way into the dining area. Sorry, but I had to make my way to the front to see if I could take a photo. On the way back I ran into Ryan Levy and Ian Eastveld from the NICE Winery and learned the reason for the poster outside. He would be speaking at the event. Also at Ryan and Ian’s table was Houston Chronicle columnist Dale Robertson and Wedding Oak Winery General Manager/Managing Partners Mike and Lynn McHenry. It was nice to see everyone again and Ryan and Ian came back to our table to visit everybody. The four course dinner began and the wine for the evening was the Starmont Cabernet Sauvignon from Napa Valley. This made sense for the entrée Filet Mignon but did not go too well with the lemon, chocolate, and pecan pie dessert. I was surprised for the cost that the dinner did not have a wine pairing for each course. 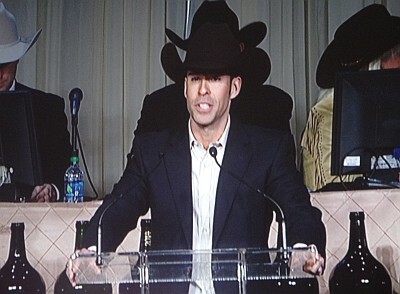 Before the auction, Ryan Levy spoke as he was a previous Houston Rodeo scholarship recipient and it showed the buyers that their extra bidding would be going to a good cause for education and scholarships, and how a potential scholarship recipient could benefit. While eating dinner, the auction for the large format bottles happened. 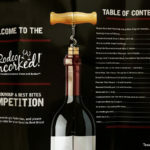 The Rodeo Uncorked! 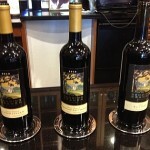 International Wine Competition was held last November and buyers could purchase the champion bottles. The top winning wines were sold in lots by themselves and later there were lots of five to eight wines. At the beginning of the auction, Ryan Levy did a little description of each wine before the bidding took place. First up was the 2014 Grand Champion Best of Show Wine, Marchesi Antinori Guado al Tasso, Bolgheri DOC Superiore, 2009, which sold for a show record of $230,000. We waited excitedly to see what the top Texas wine of the competition would sell for which was the Bending Branch estate Tannat 2010. It sold for a nice $100,000. Bill got agreement among the group to bid and with his expertise at bidding, we came away with the winning bid. Nobody can say our table doesn’t support Texas wine. It was now time to leave and find our limo for the trip back home. After packing in the group’s winning group of wines, we headed home and everybody agreed the evening had been a lot of fun. 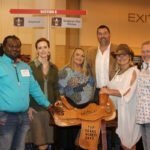 Disclaimer: No disclaimer needed for this event as all costs for the dinner and part of the winning lot was paid by us, except for the trip in the limo. Thank you for the great review Jeff, sounds like an amazing evening !! Thanks Sandy. It definitely was! Thanks for a solid recap of last night ‘s activities. 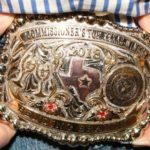 Most of all thanks to you and your group for supporting Texas wines. Thanks Mike. I know we all look forward to enjoying the Wedding Oak Bridal Veil! Jeff & Gloria, we were so glad you joined our table for the evening and you had a great time! We all did and are looking forward to a big party to sample the wine…or drink as the case may be.